Fall temperatures surround my homestead here on Bear Mountain today. I spend my day thinking and meandering outside. Lots of outside work needs to be done to wrap this place up for winter. My thoughts go out to all the small wild critters that are contemplating their outdoor winter quarters. Not much in the way of bird song right now. Mostly jays jabbering about all the acorns that the white oaks are dropping down for the taking. A few finch and chickadees are finishing off the sunflower seeds from my sunflowers. I don't feed commercial seed to the birds as I don't really know where it originates. Rather I plant food for butterflies, bees, wasps, flies, birds, moths and other animals as well as encourage wild plants for sources. I feel that not only us humans have to know where our food comes from but so do we need to know the food sources that we feed animals. I brush-hog the couple acres that once were animal pasture before I moved here. I wait until a hard frost before its done so as to, hopefully, make sure all the hibernators are safe in their lairs. The field gets brush-hogged twice a year. The summer cut is done around July. 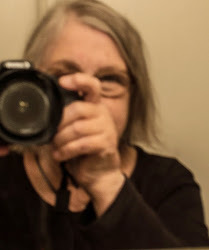 I am thinking of changing this next year's summer cut or not doing it at all. The man that brush-hogs does not like to do it when the plants are up high. But, I need to observe if there are any ground nesting birds still with young during this July time. Also, other critters can be at risk. Kentucky winters are really mild compared to a place I once lived, Michigan. It was the coldest, snowiest state of all the many places I have lived. Winter is coming. The seasons of the wheel roll on. I love winter here as I always feel the wistfulness of nature during this time. 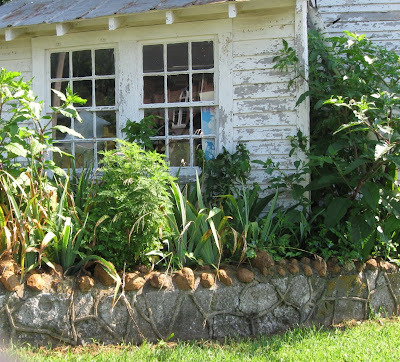 A wonderful two-story white cottage bungalow sits among its flower gardens in rural Garrard county, Kentucky. 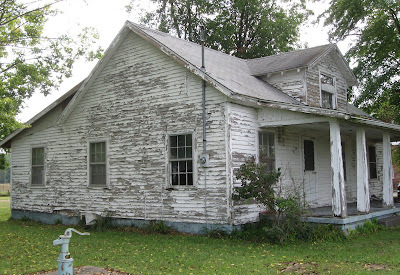 It still has its original weatherboarding siding, multiple paned windows (lights) and metal roof. Its front porch is a common form found in the area, that of wood pillar and stone post. This cottage is small -- probably no more than 900 square feet. Well taken care of plantings are gathered around its perimeter. The folk fencing surrounding the perimeter flower gardens was probably made several years after the bungalow was built. It is made with mostly linear shaped rocks of limestone and is held together with a decorative exuded mortar of an unidentified type. 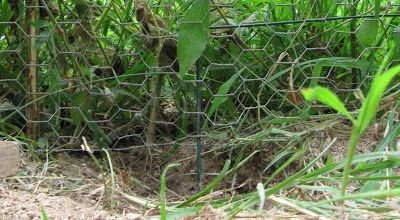 Contrasting, with the mostly linear rocks, are small round brown rocks perched like large eggs along the whole top of the fence. It resembles fences built in the thirties and forties by English immigrant masons. It is about 2 1/2 feet in height. It is eclectic and playful in design as folk art. 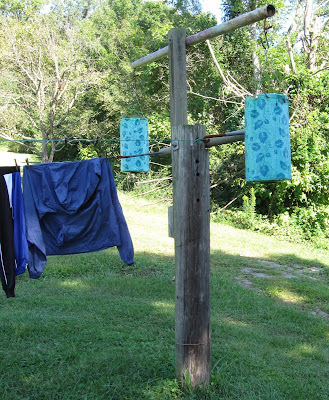 TAKE A TREE STUMP AND ADD SOME WOODEN EXTENSIONS AND YOU HAVE A COUNTRY CLOTHES-LINE POLE! MADISON COUNTY, KENTUCKY. Sometimes things just happen. I discovered the Todd schoolhouse by noticing the construction form and decided that originally it was probably a one room schoolhouse. I stopped to get a closer look and a neighbor wandered over to see what I was up to. She was extremely helpful and took me for a tour through the schoolhouse. She mentioned she knew a woman who was a student at the school at one time, so she put me in touch with her. And that is how things happen when you are out scouting the territory -- one thing leads to another and before you know it you have a post to share. 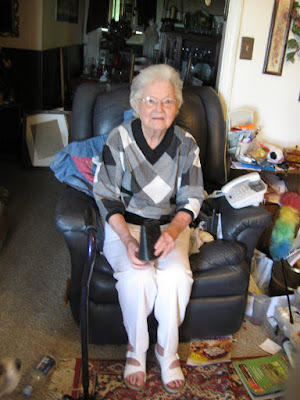 The person she put me in touch with was Bessie Ballinger who attended Todd school in about 1944. She only attended one year at Todd -- the first grade when she was seven. After talking with Bessie, Bessie began searching for former teachers that taught at the school. And before you could snap your fingers Bessie and I were on our way to visit Miss Irene, former Todd teacher, at her country home outside of Paint Lick, Kentucky. Miss Irene is now 83, sharp as a tack and looks much younger than her years. 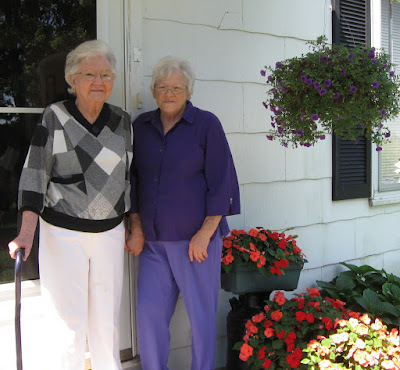 We sat down to hear her story about when she taught at the Todd one room schoolhouse. She was 19 years old when she started to teach in 1945. She taught for two years until 1947, then left to marry Frank Taylor, moved to her husband's hometown and taught 1st grade there for three years until she became pregnant with her first child. She then ended her teaching career to raise a family. 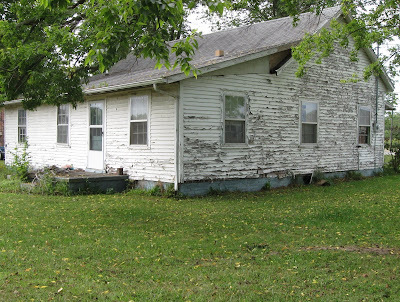 THE TODD ONE ROOM SCHOOLHOUSE AS IT APPEARS TODAY. The Todd one room schoolhouse has been spared decline as it has survived through reuse. At one time it was a garden shop. Today it is being used as a church. Newer changes to the schoolhouse are the bumped out front porch vinyl siding, and the front windows have been apparently reduced in size. It still has the original tin ceilings inside and a lingering feeling of originality. 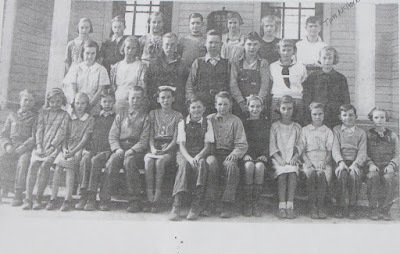 The above photo is a class picture taken in front of Todd school. 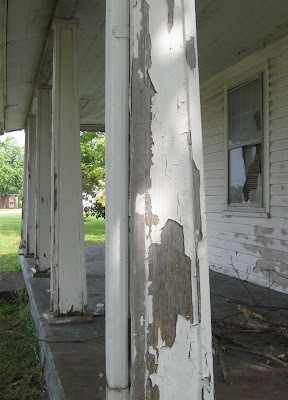 It shows the original columned porch and door type. From the style of clothing it was probably taken in the 30s or 40s. One room and two room school houses were the building blocks of present day school systems. Previous to school systems were informal gatherings of children in a designated place where they could learn, almost always located near several family homes. 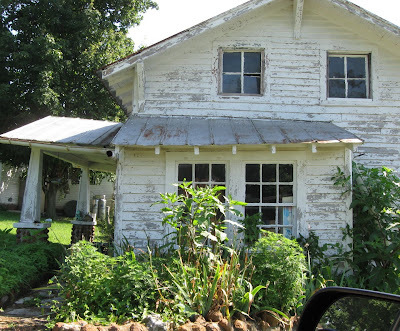 To learn about old school houses, I was able to talk with a valuable resource, Jesse Ward, a consultant and historian with the Madison County School District in Kentucky. 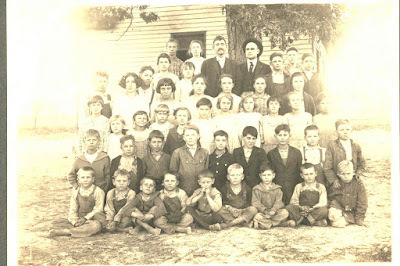 He provided the above early photo of the class of 1922 taken at the Todd school house. The above photo appears to be a smaller school building than the existing Todd school in the 30s/40s photo. It was likely that some reconstruction to the school house was undertaken between the 1922 photo and the 30s/40s photo. IRENE TAYLOR WITH THE ORIGINAL SCHOOL BELL IN HER HANDS THAT SHE USED TO RING TO BRING THE CHILDREN IN FROM THEIR LUNCH TIME BREAK. Moving back to Miss Irene's story of the Todd school house. 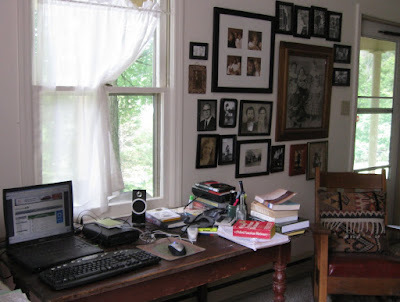 We were to learn that there was only one school room and a cloak room in the rather large schoolhouse and only one teacher for all the grades -- first through the fourth. The school system provided the text books while the children brought a little notebook and pencils. She stated they had a regular curriculum of math, science, and English. I asked her how she would compare her school environment to the schools of today. She responded, " . . . there is too much material competition among the children as well as the teachers which takes away from their education." She went on to tell us that she was a single teacher at the time, living with her parents, so she could afford to buy extras for the children to supplement their education. She even made warm soup and corn bread for their lunches in the winter. She said, "I would make the corn bread and soup at home and bring it to school. I would set the soup kettle on top of the pot belly stove in the class room to warm it for the student's lunch." Todd school did not have a large school bell usually found on the top of most school houses. So in lieu of this she brought in a large cow bell to ring them in at the end of their lunch hour. Still in her possession, she sits with it on her lap in the above photo. Recess was organized games that she would schedule for the students. Softball was their favorite and she played right along with them. She said they would have fun trying to strike her out. Recess was not timed -- it was when Miss Irene had a notion -- then it was time to go in. Christmas was celebrated at the school with Miss Irene's home baked Christmas cookies and a curtained stage for the Christmas play. Many parents attended to join in the holiday fun. 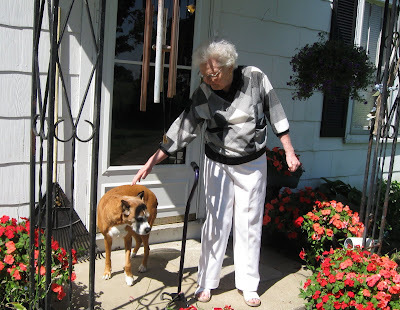 MISS IRENE WITH HER TEN YEAR OLD BOXER DOG THAT IS HER CONSTANT AND LOVING COMPANION. Miss Irene graciously provided a glimpse into the daily schedule of her Todd experience. What I took away were her words describing her class, "we were like a family." Perhaps these small school houses have something to tell us about the value of small community schools. Lately it has been sunny with chilled mornings. The kind of chill in the air that signals to your senses that Fall is approaching -- no need for the calendar to tell you so. 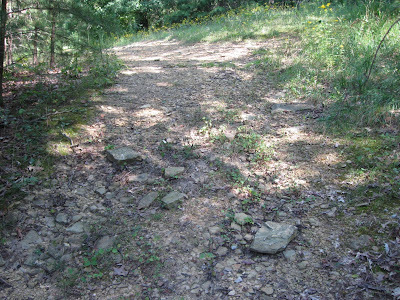 My path, in the photo above, is an old tractor trail that no longer serves as such. It is filled with the till of the mountain -- rocks of limestone, small to large. 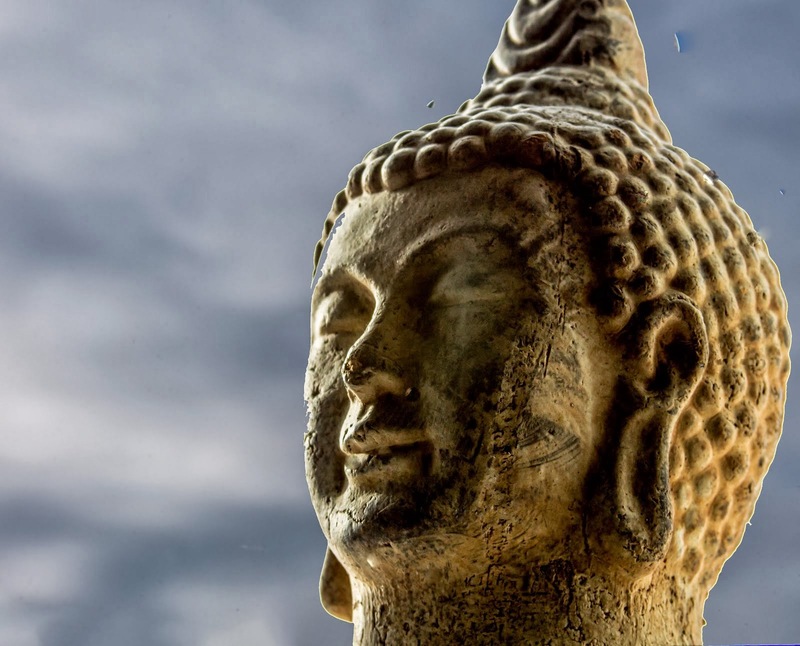 It is private and if one meditates on it -- rather mysterious. Here is where I take my private walks to observe nature. Today I am walking in observance of the coming of the Autumnal Equinox, or Fall season, which begins on September 22nd on my calendar. 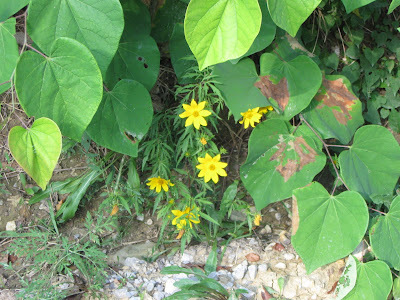 I am looking for changes and for common wildflowers that bloom during this late summer transition. Various types of wild rose hips grow along the path ranging in different sizes and hues of red. 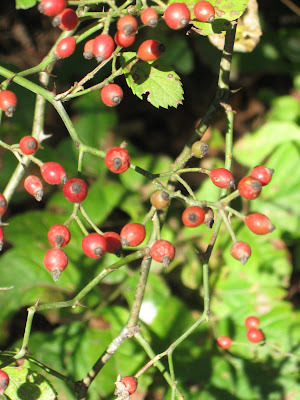 Rose hips are not poisonous and can be made into tea, jellies and jams. they are rich in vitamin C, D, and E. Plants produce rose hips from the declining blooms of roses. Many folks pick them and put them into natural dried arrangements. Growing like giants of my native wildflower world is the above Joe Pye or botanically known as Eupatorium purpureum. Reaching heights of 6 to 8 feet on wand-like stalks with bloom heads that are akin to rosy-purplish heads of cotton candy when seen from afar. They exude a strong sweet floral smell to the nose. Named after a Native American for his use of the plant as a fever reducer. 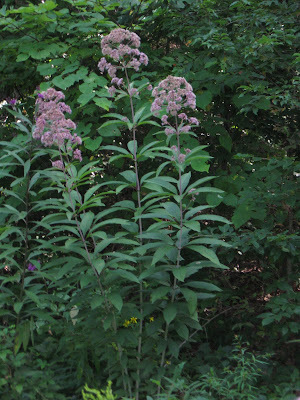 This plant attracts scores of swallowtail butterflies and bees during this late growing season of the year. Sunny yellow booms distinguish Tickseed Sunflowers. They fill many spots in the woods where there is sun. They seem to enjoy the changing light of the earth and so remain in bloom for long periods. Bees particularily seek them out as a food source that produces a dark honey. 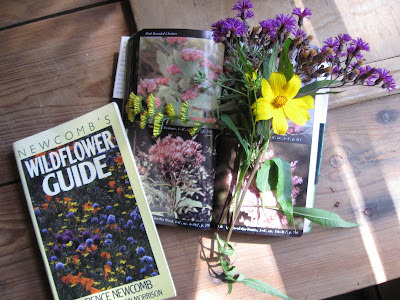 Newcomb's Wildflower Guide is one of my favorite guides for identifying wildflowers. They have 34 species of goldenrod listed! Somewhere I read that even experts have a difficult time identifying a particular species. That lets me off the hook! I'll just call it goldenrod and be done with it. Goldenrod attracts swallowtail butterflies and bees. Goldenrods (botanically known as Solidago) are used as food plants by caterpillars of a number of moths and butterflies. Goldenrod honey is produced by bees. Blooming season is a sign of the start of the school year in the U. S.
This flower is Kentucky's state flower as it is for Nebraska and South Carolina. Taking a walk on the wild side this Fall may bring you new observations about nature. I read this sign scratching my head. Why was I scratching my head? Because I was standing in front of the boyhood home of Red Foley where this state marker was placed -- only the dignity of the sign did not meet the dignity of the home. It had become an eyesore -- in my eyes not really a tribute to the man. I read the other side of the state marker. 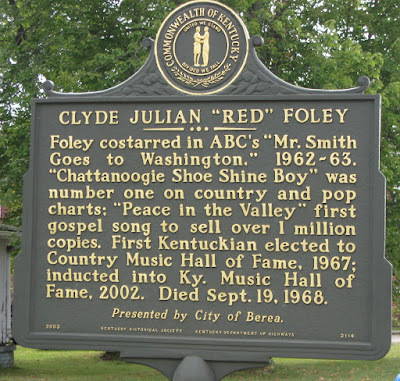 It said, " SITE OF BOYHOOD HOME OF RED FOLEY." It continued with, " Born Clyde Julian Foley June 17 1910 and nicknamed "Red" for his red hair. I read on -- "Recruited by Chicago's WLS radio station to perform on Barn Dance 1931, renamed National Barn Dance and broadcast on NBC, 1933. 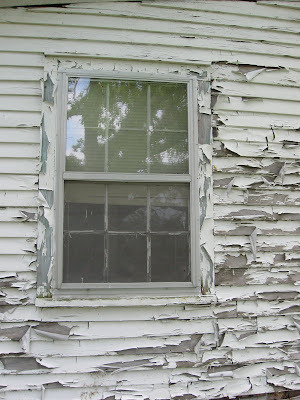 AN OLD SIX OVER SIX PANE WINDOW IS SURROUNDED BY A MAZE OF PEELING PAINT. 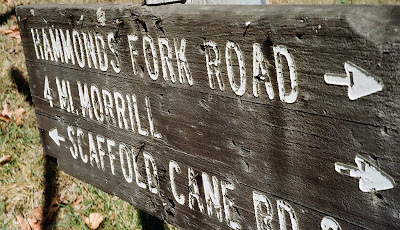 More info on the sign --- "Foley helped found Renfro Valley Barn Dance in 1938. Hosted Grand Ole Opry's "Prince Albert Show, 1946" And a few other attributes were mentioned. I realized this man had a large impact on country music. He was elected to the Hall Of Fame of Country Music, and I found out on internet later that he had many successful recordings post World War II. In fact 25 million records of his were sold during this time. 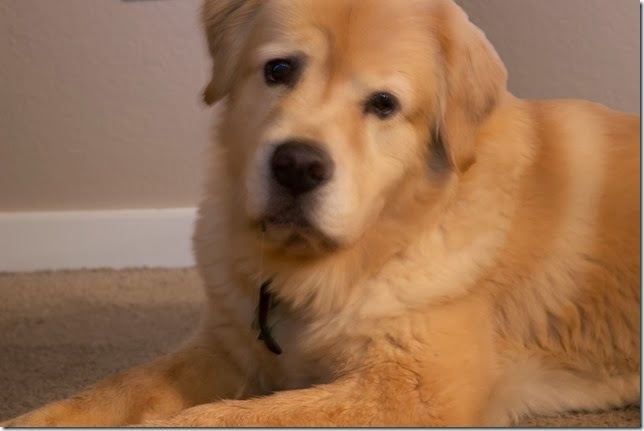 Click here to listen to one of his popular songs, Old Shep. Later in his career he got into acting and was, again, successful in this genre. What happened to this house? Next to the house, about 20 feet away, is an empty storefront that was once was a grocery and feed store that belonged to Red's parents. According to my research they were a musical family. 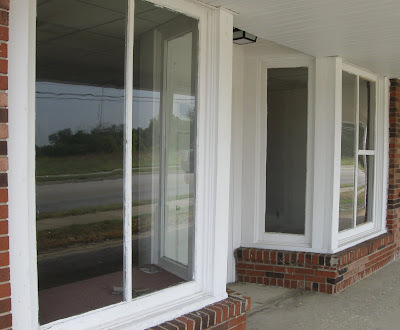 The storefront has been updated and appears in good condition. Only the old bay front store windows hint at its time as Red's parents store. THE BAY WINDOWS OF THE FORMER STOREFRONT OF RED FOLEY'S PARENTS. The large lot where the empty house is located is rather country in feeling. As I stand in front of the home, I imagine the action that once abounded in the Foley household. 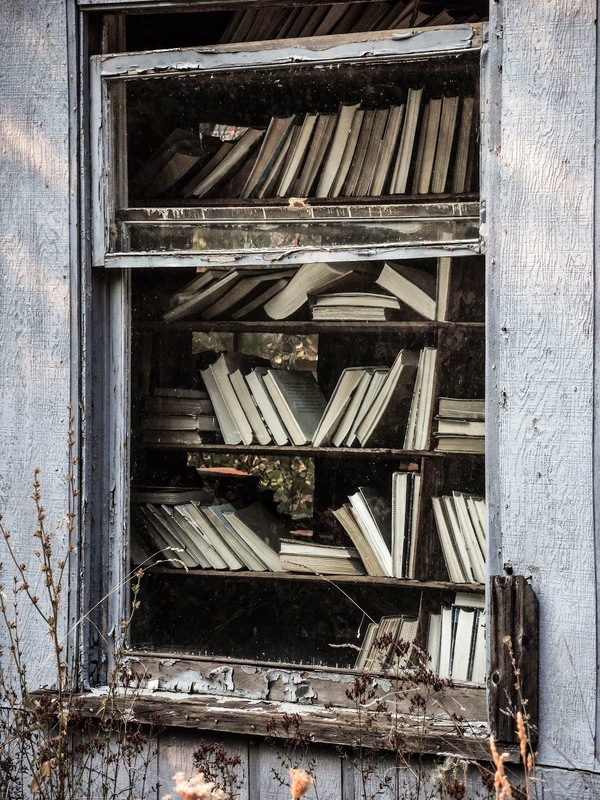 Perhaps music drifting through the windows. 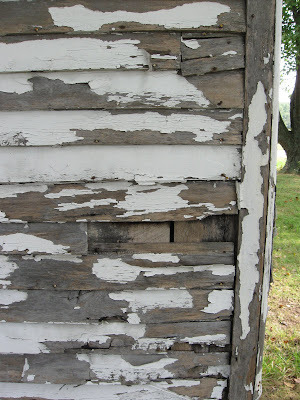 However, the house needs lots of work. If not done soon it will fall into extreme decline. Then it will be difficult to imagine it as a boyhood home of a famous musician that lived here with his family as he was nurtured with his talent and dreams. It pays to visit your local library. You can find more than books there sometimes. In my case, I discovered this large folk "artish" quilt being displayed by a descendant of the quilt maker. She was Abbie who inherited it from her grandmother and who has had it about 20 years. Abbie is a native of Kentucky. She graciously gave me the provenance of her great-great grandmother's Kentucky quilt. I knew at that time I wanted to share it with the bloggers who have shown an interest in some of the quilt squares on my posts. 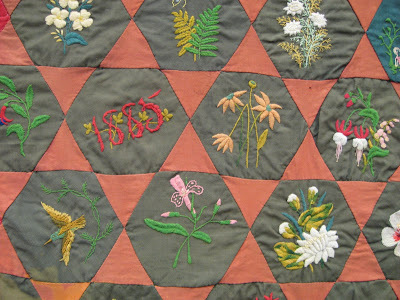 LOOK CLOSELY TO THE LEFT MIDDLE HEXAGON AND NOTE THE EMBROIDERED YEAR OF 1885 -- THE YEAR IS WAS MADE. INITIALS A C RESIDES IN THE RIGHT MIDDLE OF THIS PHOTO OF A PORTION OF THE QUILT. 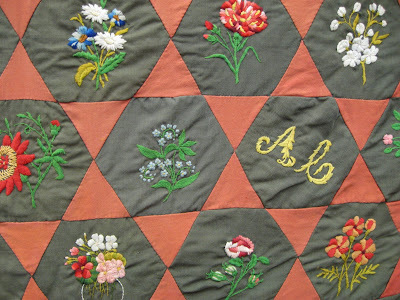 A C STANDS FOR ABIGAIL CARPENTER, MAKER OF THE QUILT. My first thought as I looked over the quilt was what type could it be? 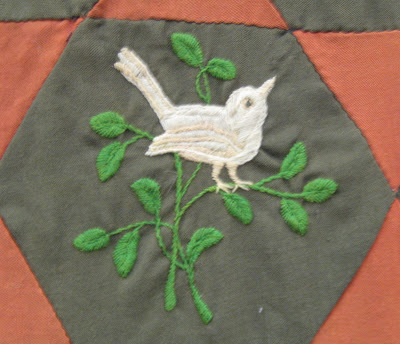 It had several influences of Crazy, Embroidered, and Pieced. It was constructed of commercial cotton fabrics and had both treadle stitches in the border and hand stitching in the pieced middle section. It was light weight or what I call summer weight. The cotton fabric on the backside was a blue and white medieval pattern. Given the potpourri of influences my inclination was to call it a transition quilt -- or a crazy/pieced quilt. It was put together during the heyday of the crazy quilt craze -- late 1800s. 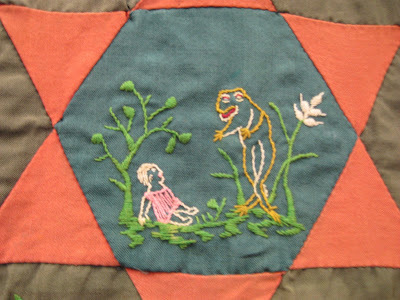 Pieced quilts were somewhat earlier in popularity. 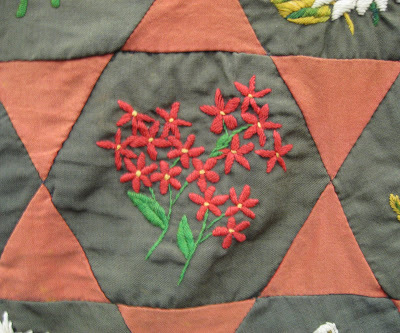 The cotton quilt's structure is a wide, solid red surround border, solid colored pieced star pattern, and solid colored hexagonal blocks within the center of each star. There are 72 hexagonal pieces that have intricate embroidery work on each, all different. Its red side borders measure 16" wide. Its overall size measures 6' by 6'11" wide. The maker Abigail Riffe Carpenter signed the quilt within two of the block squares -- one the flourishing initials A C and the other the date 1885. 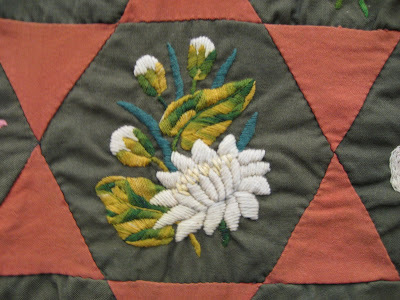 She was around 25, living in Kentucky, and married when she made the quilt. Crazy quilts were usually made of silk and/or velvet with a puzzle pieced look. Abigail's quilt gave a very organized look. Late 1800s quilt borders tended to be narrow rather than the wide red border of this crazy/pieced quilt. 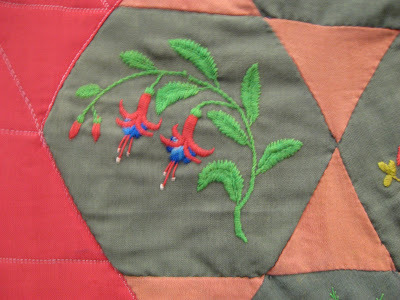 The back of the quilt was a patterned medieval scene usually found on quilts a bit earlier than the late 1800s. 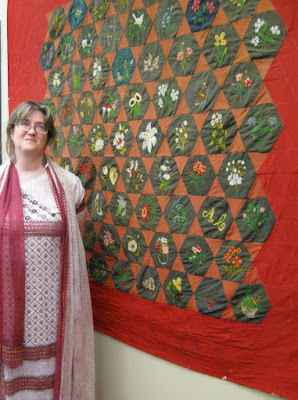 But of course, how an old quilt was put together took in social, economic and traditional considerations. 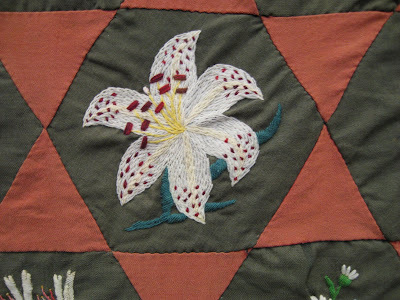 According to Barbara Brachman, quilt historian, the star pattern in Abigail's quilt is called Star Bouquet or Morning Star in her book, Encyclopedia of Pieced Quilt Patterns. She notes that the Shelburne Museum has this same pieced star pattern in an all pieced quilt which they call Morning Star. Made with expertise, caring, and beauty it is a tribute to Abigail and her present descendant, Abbie. 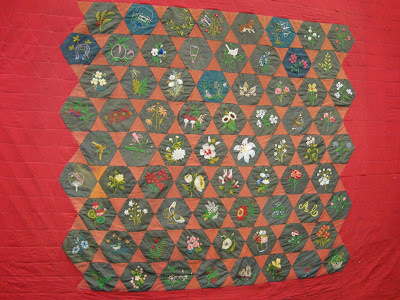 It is also a reminder of the artist in all the women that made our early quilts. 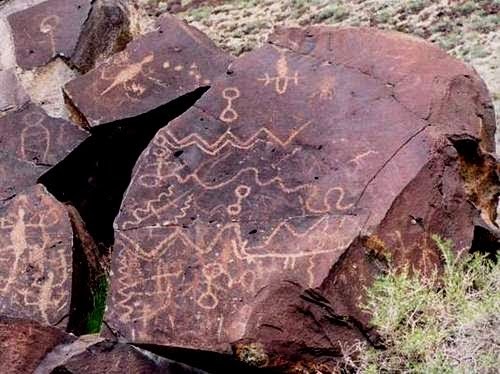 After all these years we have begun to recognize these early woman quilt makers as the artists that they were. The next time you are at your local library and see a quilt hanging on the wall -- ask about it and you may be surprised at what you discover. Also, while there you can check out Brachman's books on the history of quilting -- they contain great research! Get ready and mark your calendar for October 4, 2009 at 2:10 a.m EDT. That is when we will experience our Full Harvest Moon. 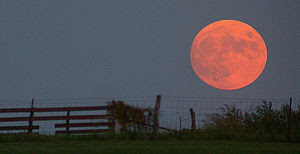 The Full Harvest Moon is associated with the time between sunset and moonrise when there is not a usual period of darkness. 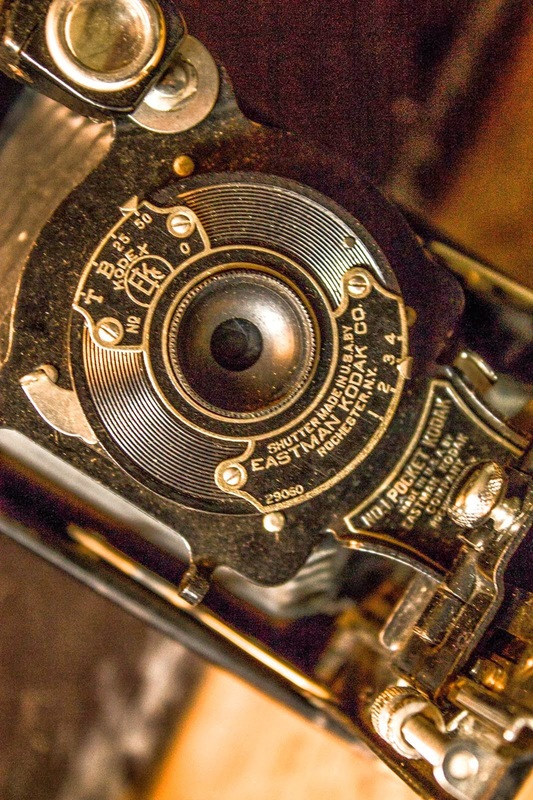 In years past this additional period of light allowed farmers to harvest crops. Crops such as pumpkins and squash are but a few of our fall crops. Explore the folklore of naming all twelve of our full moons -- mostly by native Americans. Click here to read what Joe Rao, sky watching columnist has to tell us about these folklore moon names. I was moving fast. I was going to be late for an important appointment if I didn't leave right now! As I scooted across the yard I saw something out of the corner of my eye. I stopped dead in my tracks. 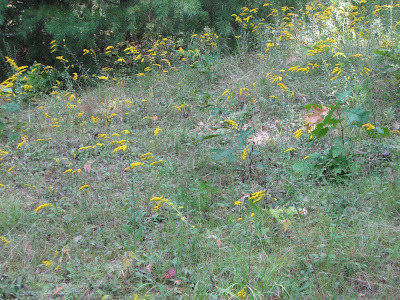 There in a patch of low weeds sat a large gorgeous Eastern Box turtle. To see a photo of one does not do it justice. Seeing it in the flesh is an illuminating moment. down by the harmless turtle and observed it's colors, eyes, posture, surroundings -- and then begrudgingly went off quickly to my appointment. I thought as I was getting into my car, maybe he will be there when I get back? I say he because of his red eyes, a male identifier while the females have brown. Of course, by the time I got back from my appointment he was gone much to my chagrin. 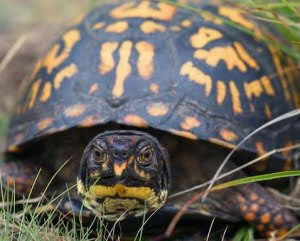 So, I have used a photo from the Fish and Wildlife Services, above, to give you an idea of the beauty of an Eastern Box turtle. I didn't get to capture the Eastern Box turtle with a camera but he did leave traces that he had been there. I did get a photo of what is called a form. In turtle studies this means a clawed out soil depression where the turtle can rest in a cool soil bed. This is the calling card the turtle left for me. Turtles wander a lot on their home range of about a 250 yards diameter or less. They tend to use the form method for taking breaks in their wanderings. Not all turtles have established home ranges. The young are searching out home ranges when they get hit on the road by cars or trucks. Also males after amour get hit often on roadways. Good to stop and remove them to the side of the road. Turtles have low metabolism and therefore digest food slowly and move slowly. 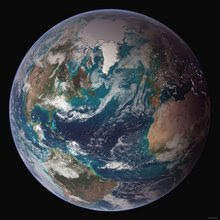 They have been around for 200 million years plus so their way of living with the environment has paid off -- until the stresses of humans interfered. Now we have land fragmentation that exposes them to more roadways to cross, lawn mowers that injure or kill them, exposure to toxic pollution, and releasing pet turtles into the wild that can result in the spreading of diseases to the wild base. Eastern Box turtles in the wild eat lots of insects as well as worms, snails, and slugs. They are an important part of our bio-diversity, they help to control invasive insects -- slugs and other onslaughts of pest invasions. They are land turtles and can live in dry prairies as well as woods. Their favorite habitat is moist woods. 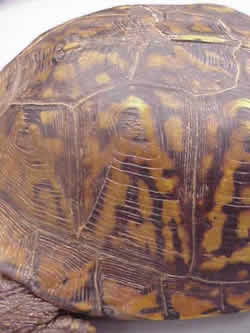 Captured box turtles have a low survival rate. EASTERN BOX TURTLE CAPAPACE (TOP SHELL) WITH GROWTH RINGS. It is difficult to tell the age of the Eastern Box. Some labs use the "count the rings" method on the capapace which is the top hard shell and some count rings on the scuta, the bottom hard shell plate. However, these rings become worn smooth over the years. 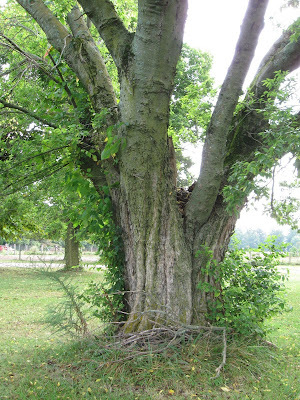 An Eastern Box hibernates up to two feet in the soil that it digs. The turtle can survive temperatures down to one degree centigrade making their winter survival rates good. He goes down at the first hard frost and reappears sometime in April. This turtle has the bodily make-up to survive with nature. But hatchlings of the turtle have a very low survival rate. Unfortunately it is us humans that are being attributed to the recent decline of these beautiful turtles. Also, other types of turtles in the U. S. as well as around the world. The largest threat to turtle numbers right now is the harvesting of wild turtles for the Chinese trade. China uses turtles for medicinals and food. The Chinese have pretty much wiped out all the turtles in their homeland and now look to the United States to provide for their insatiable appetite. Warning for your possible anger. Here is a U-Tube video of a man harvesting snapping turtles in Kentucky. Click here. The Chinese also like snakes and lizards so will they be next on the U. S. harvest list for the Chinese people?